Does Your Business Need Reputation Management?? Are you losing business due to negative reviews left at places such as Google My Business, Yelp, etc.? Do you have negative information coming up when your business (or personal) name is searched in Google, Yahoo, and Bing? Are you dealing with a bogus RipoffReports.com submission that you can’t get rid of? If you are, let me assure you that you are not alone and we can help. We are online reputation management experts and we see this every day. Let us be straight about something. The internet is incredible. It lets people share information quickly and easily whether that be about a cute story, or a recent incident involving a business. It also allows people to research potential businesses before choosing to work with them which in general is a good thing. Unfortunately, as with all things, it doesn’t always work the way it supposed to. Businesses can be unfairly trashed by an angry and unreasonable customer (yes we all know they exist), a disgruntled ex-employee, or even a competitor. These unfair reviews can cost businesses thousands, tens-of-thousands, even hundreds-of-thousands of dollars if not dealt with. The problem is, even with lawyers involved, it can be virtually impossible to have these negative reviews removed. That’s where we come in. 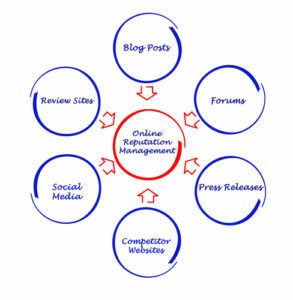 We are online reputation management experts based in Dallas, TX and we can help you repair your business’s online reputation. We can handle virtually any type of reputation management situation whether it’s dealing with negative reviews on Google, Yelp, etc. or “getting rid” of ripoffreports type listings so that your visitors see only the information you want when searching on your business (or personal) name. Don’t wait another minute or lose another dollar due to negative reviews. Call us today and see what our experts can do for you.